March 7th: What a Game!!! 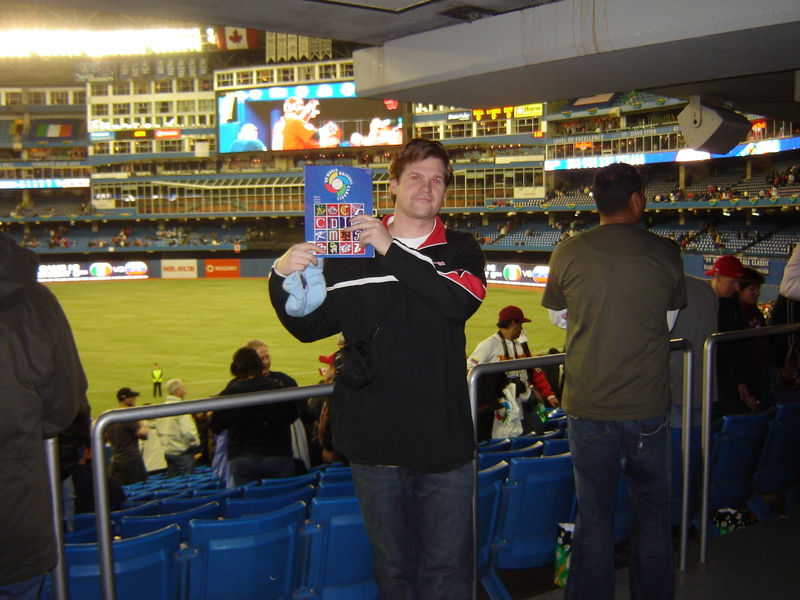 I’m just back from the WBC game where Team Canada lost to the United States 6-5 in a nail-biter that came down to the last two batters. Those batters, most disappointingly, were arguably the best hitters on the team, Justin Morneau and Jason Bay, and they could not come through with the big hit when Canada needed! 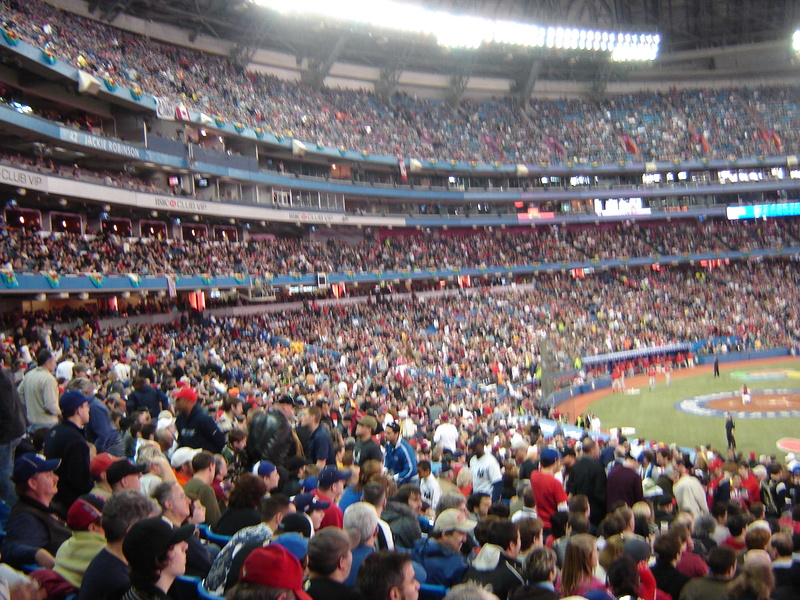 Regardless, it was an amazing game to be at, the Rogers Centre was electric being filled almost to capacity and there were many Canadian players that shined in key moments! The Toronto native, Joey Votto, crushed the ball for Team Canada going 4-for-5 with two RBIs before a lively crowd of 42,314. Great game! Awesome atomosphere! I haven’t seen the dome like that ever I think! As promised, here are some pictures from my adventure. An outstanding showing of people for the game!! The upper deck is hardly ever filled like that! 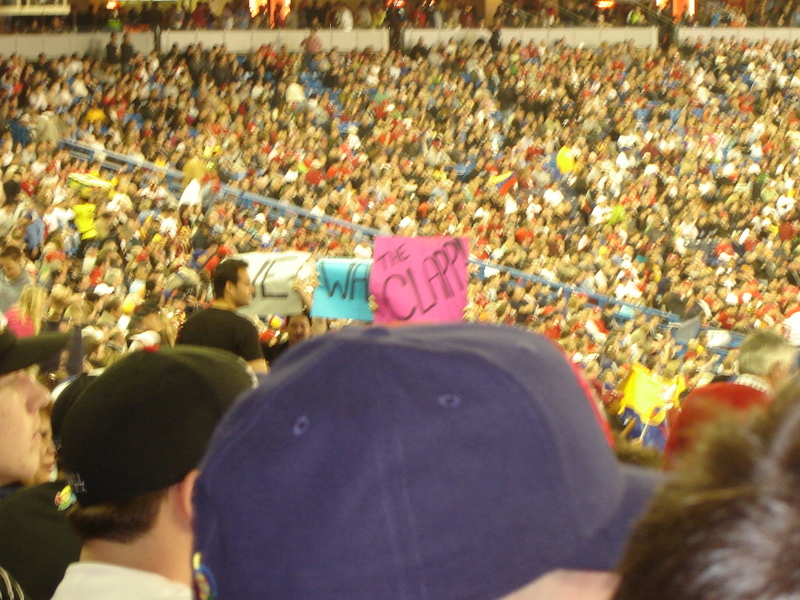 Team Canada ledgend and one of the greatest names in baseball, Stubby Clapp, is represented in this sign by some guys sitting near me. He actually never got into game, so they must have been disappointed. Here I am with my cool WBC program. See my Canadian pride – even my eyes are red. They also handed out some pretty sweet Topps baseball cards after the game. I’m thinking they need to be Photoshoped, just like my eyes in this pic! !